A bright bouquet of large blooms in orange and pink. 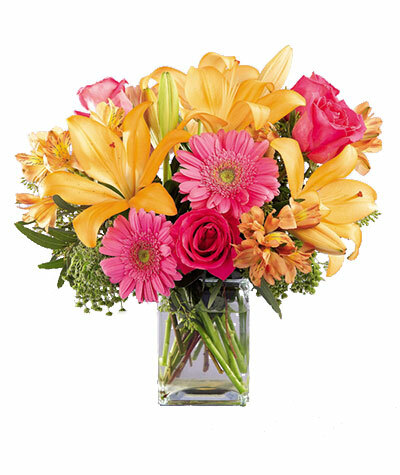 A sunny color combo of Gerber daisies, Asiatic lilies, roses, and alstroemeria. A great thank you, Welcome Home, or any reason gift.